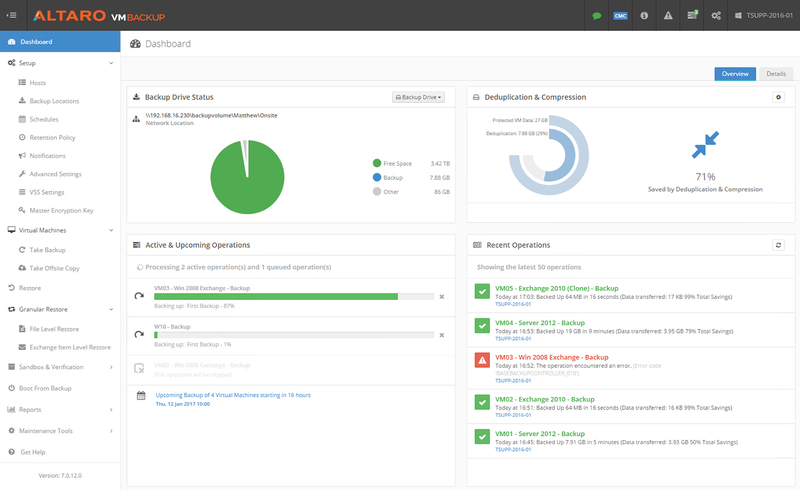 Do you run Virtual Machines on a Hyper-V or VMware server? Do you wish you had more confidence and transparency in your backups? Are you looking to save money without compromising on quality? If the answer to all the above is yes, Altaro VM Backup is the very solution you’ve been looking for! 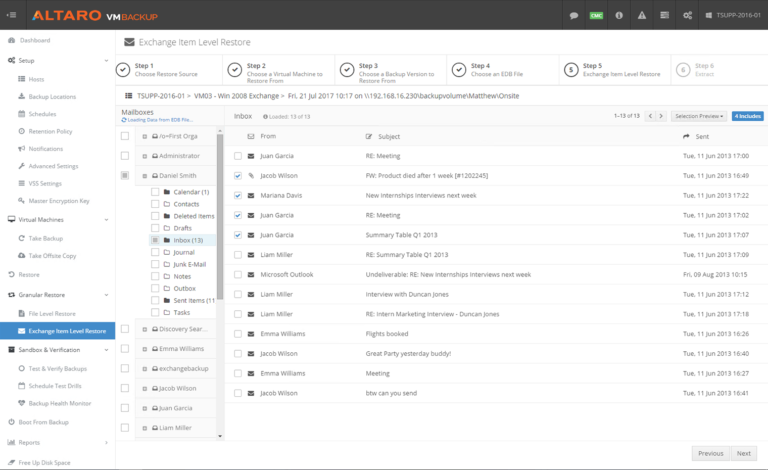 Altaro VM Backup (formerly known as Altaro Hyper-V Backup) is an easy to use backup software solution to back up and restore both Hyper-V and VMware-based virtual machines from within the same application. Eliminate hassle and headaches with an easy-to-use interface, straightforward setup and a backup solution that gets the job done every time. 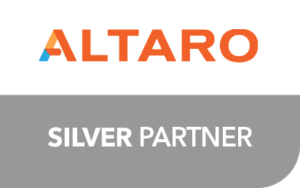 Altaro VM Backup offers you most of the features found in competing offers aimed at enterprise-level users at a fraction of the price. Why pay 2-3x the price of similar solutions or depend on unreliable DIY tools? 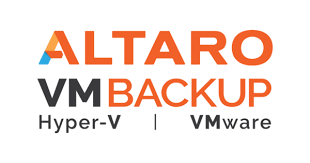 Download your copy of Altaro VM Backup now and enjoy unlimited functionality for 30 days. 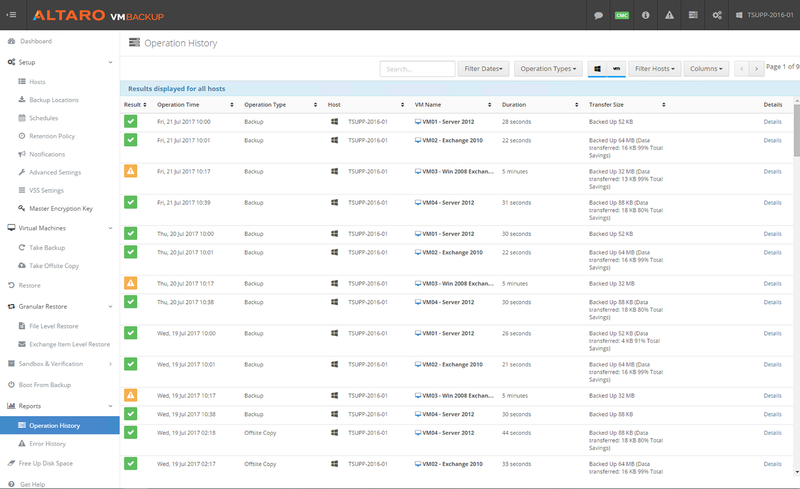 After your 30-day trial expires, you can continue using the product for up to 2 VMs for free, forever (no file-level restore). 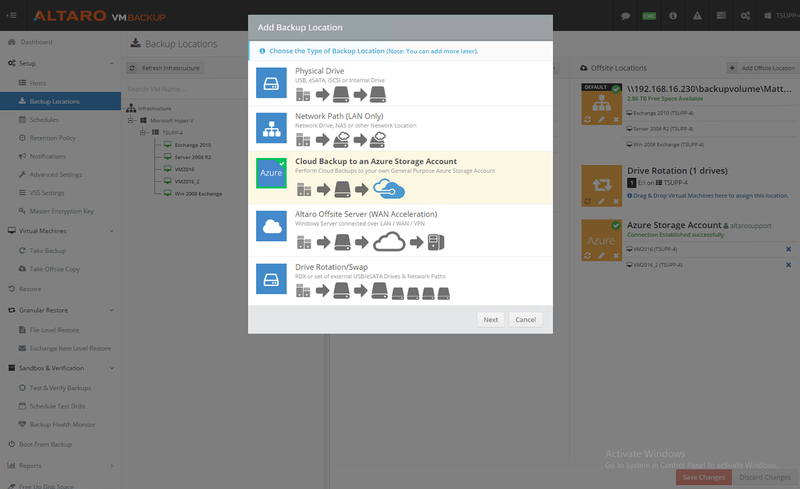 Need our help with your backups?